Before my weekend jaunt up to Finland I could not have placed the country on a map. My basic knowledge told me: 1) it isn't in Russia, 2) it's cold, 3) there may be reindeer. Not much to go on. But! I am happy to say that it is an existing Scandinavian country just to the right of Sweden, and about an hour and a half flight from Copenhagen. I went up to Helsinki this past weekend with three of my friends from DIS. We had incredible, sunny weather in the mid-50s, AKA t-shirt weather according to the locals. I don't know about that, but I can say that I got my full dose of Vitamin D for the next few weeks. I also feel confident saying that the four of us essentially packed the most into this weekend that we possibly could have. After arriving at 6:30 Friday evening and riding a city bus into town, we set to work finding our hotel. 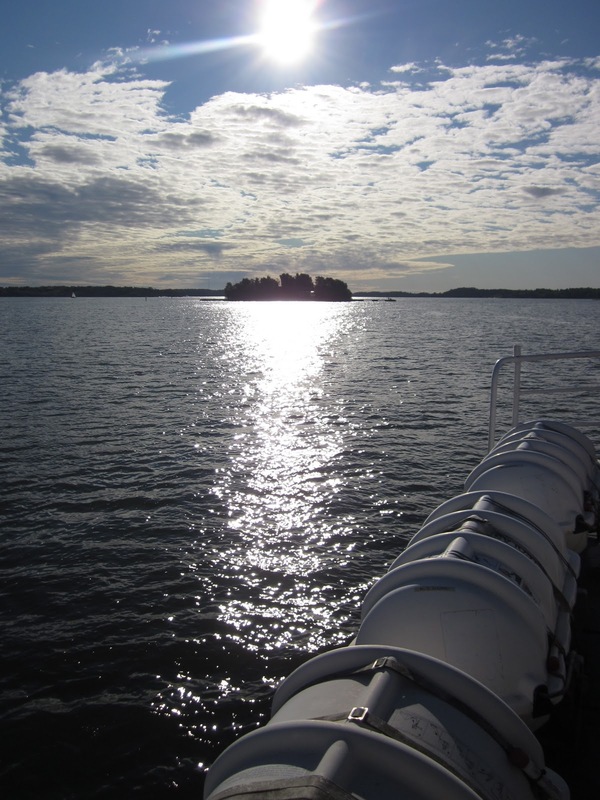 I don't want to be overly critical, but word to the wise: this lovely 3-star in Finland is La Quinta-level by US standards. Apparently the hotel was in the old "working girls neighborhood" (great), and the elevators almost gave me a panic attack. The thing may have been half the size of a typical shower. And supposedly fit 4 people... Good one, Cumulus Olympia. 8:00: Up at the crack of freaking dawn to walk around and look at the water. Ooh, pretty... Too bad it's 8 in the morning, people. 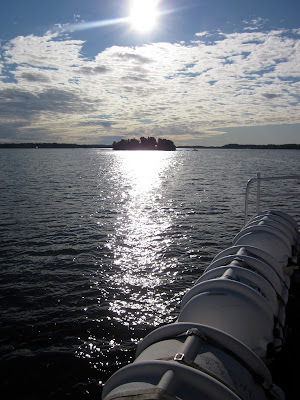 9:00-12:00: Take a ferry to Suomenlinna, an old sea fortress and a UNESCO World Heritage site. Now this was cool. The island is still inhabited, so there are lots of little shops around. There are also amazing walking paths, historical sites, and photo ops. 12:00-1:00: Return to the mainland and head to a rooftop bar, called the Ateljee Bar. Amazing, amazing views. And some delicious "Finnish" drink that is a basic spin on my signature G&T. 1:00-4:00: Walk to the Market Square, Lutheran Cathedral, and Russian Orthodox Church, called the Ravintola Sipuli. 4:00-6:30: Home for THE BEST NAP OF MY LIFE. 9:00-3:00: Out on the town. Hilarity ensues. To quote Dane Cook, have a "I just wanna dance!" kind of night. 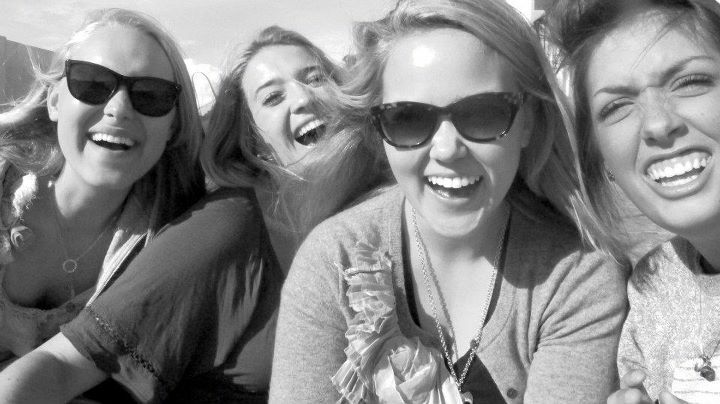 Loving life. Suddenly, with an Albanian man who is at least 10 years older than me. Wonder when that happened. Try to ditch with the bathroom line. He is waiting for me outside the bathroom. Try to ditch with the crying best friend line. Somehow he manages to dance while spinning me in circles. Not his best idea. Miss three trains to go home. Nice English man informs us we'd better get on this train, as it's the last one for the night. Righty-o, sir. ***As an aside to my mother: I was never in any danger, was totally in control of the situation, and did not get robbed. Sunday morning rolls around, and after eating breakfast we remember our Finnish buddy from the night before! Tom comes through and offers to take us to a spot lots of locals go for coffee. 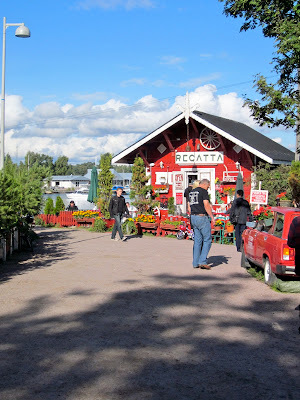 After a bit of a hike, we arrived at this amazing little cafe set on the coast of Helsinki. After paying an initial 2 Euro for coffee, the cafe pays you 0,05 Euro for every cup you have afterwards. Not sure about the business sense behind this one, but I like it. 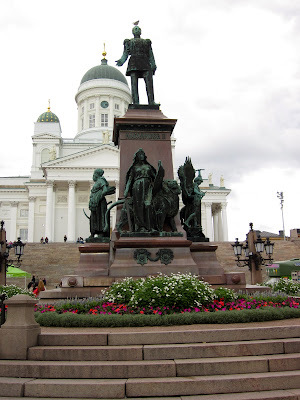 After coffee/tea, we went to Temppeliaukio Kirkko, or the Rock Church. This entire church was carved into a rock hill, and the ceiling is a copper dome. We made it to the church five minutes before closing... such a success.